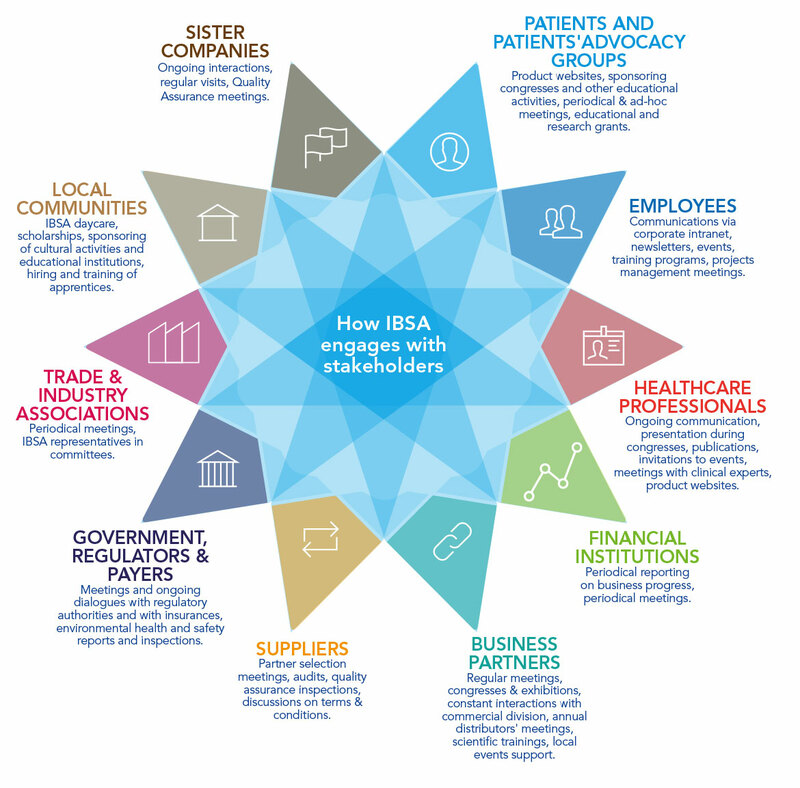 For IBSA, manufacturing pharmaceuticals implies taking care of people’s general health and wellbeing: this is why responsibility towards the individual and the environment are values held strong at all levels in the company. IBSA seeks to operate in respect of its territory, in synergy with the forces surrounding it, aiming to become an increasingly attentive manufacturer that develops its industrial activities in harmony with the environment, and the social and institutional framework of the area in which it operates. The company’s philosophy has an underlying inspirational key principle, according to which the wealth that comes from the development of a productive economic activity makes sense only if shared: it is with this particular approach that IBSA sees the social function of its work and the consequent ethical responsibility towards the individual and the environment.